Lively, the 56-year old head of a certified anti-gay hate group who is believed to be largely responsible for both Uganda’s anti-gay laws and for Russia’s, made his remarks in an exclusive interview with the Editor-at-large of Huffington Post Gay Voices, Michelangelo Signorile, regarding Uganda’s Anti-Homosexuality Act. Lively claims he is “very disappointed with what happened in Uganda,” because lawmakers there, after Lively worked with them, “fell back into punitive sanctions,” instead of focusing “on therapy and prevention” of homosexuality. 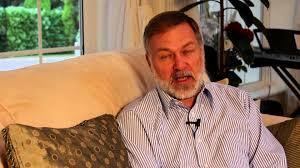 During Scott Lively’s interview with Michelangelo Signorile last week, the anti-gay pastor denied ever having said that President Obama is the Antichrist…until Signorile played audio captured by Right Wing Watch of Lively saying exactly that. Last year, Lively told Rick Wiles of TruNews that the Antichrist “is heading the largest superpower of the world today,” obviously referring to Obama, who he predicted would eliminate “the debts of the world,” bring about “a peace treaty between the Palestinians and the Israelis” and establish “secular humanism” as a global religion. Remember, though, that even though Scott Lively is rightly viewed as a clown in the United States, in nations where access to education and information is harder to come by, Scott and his cohort are unfortunately often treated as experts.